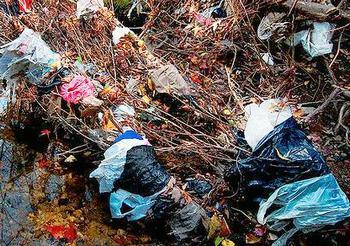 SACRAMENTO, California, May 20, 2013 (ENS) – A plastic bag manufacturer’s appeal to the California Supreme Court against the Los Angeles County reusable bag ordinance has failed. A unanimous appellate court upheld the county’s plastic bag ban in March, and this week the California Supreme Court upheld that ruling. The decision serves notice to others who might challenge the more than 70 California local governments that have banned single-use plastic bags in recent years. The lawsuit, brought by plastic bag manufacturer Hilex Poly Co. and four individuals, had sought to repeal the county’s 2010 ban. Hilex Poly took aim not at the county’s ban on plastic bags, but on the 10 cent charge on carryout paper bags required by the same ordinance. “This so-called ‘carryout bag charge’ – actually an illegal and unconstitutional special tax – is being imposed by the County at a time when consumers can least afford to bear another government-imposed cost burden,” the company argued in court documents. Because of that, the company argued, the court should declare the entire ordinance invalid. That ruling would have had the effect of lifting the ban on single use carryout plastic bags. But the court instead upheld the county’s ordinance. In the plastics industry, Hilex Poly is a big dog. The company operates the largest closed loop plastic bag recycling facility in the world, where plastic bags are turned back into resin pellets and then back into new bags. At more than 30,000 in-store collection bins, Hilex Poly collects plastic bags of all kinds, gathers them into bales and transports them to the company’s recycling center in North Vernon, Indiana. Hilex Poly invested more than $25 million in its recycling center, which recycled in excess of 20 million pounds of bags, sacks and wraps in 2012. In March, Hilex Poly received the 2013 Society of Plastics Engineers Environmental Division’s Award for Plastics Recycling Technologies and Applications. Presented at the annual Global Plastics Environmental Conference in New Orleans, Louisiana, the award recognizes innovations in plastics recycling solutions and overall commitment to sustainability. Hilex Poly earned the award for its “Bag-2-Bag®” recycling program, which allows millions of consumers and retail employees to recycle plastic bags, sacks and wraps at grocery stores and retailers. Hilex Poly also partners with other companies to purchase used plastic bags and film packaging for recycling. These materials are then recycled into new, recyclable plastic bags or into other products such as backyard decking, piping and playground equipment. Nevertheless, the California Supreme Court decision is the latest in a series of failed legal challenges to plastic bag ban ordinances by plastic bag manufacturers and their allies. The California Supreme Court upheld the City of Manhattan Beach’s plastic bag ban in a unanimous 2011 ruling. Lower courts have upheld plastic bag bans in San Francisco, Marin County, San Luis Obispo County, and in a previous 2010 lawsuit against Los Angeles County. Lawsuits against Long Beach, Palo Alto, Santa Cruz, Carpinteria, and Santa Cruz County have been settled on terms that left the local plastic bag bans in effect. But with its 9.8 million people, Los Angeles County, which includes the city of the same name, is the largest city in California so this ruling will havewidespread impact. It might even affect the state’s famous beaches. Currently, single-use plastic bags are one of the most common garbage items on California’s beaches. Environment California warns that waste plastic bags “are a threat to ocean wildlife, like the leatherback sea turtles that mistake them for edible jellyfish. One in three leatherback sea turtles have plastic in their stomach, most often a plastic bag,” the group said. The case is Schmeer v. County of Los Angeles, California Supreme Court file number S209633.